Heat 1 teaspoon of olive oil in a regular cooking pan on medium setting. Rub the roast with 1/2 teaspoon sea salt & 1/4 teaspoon black pepper. Place the roast in the pan, browning each side, (approximately 5 minutes,) & remove from pan. Place 1 & 1/2 cups chopped onion in the pan & sauté for 7-8 minutes. Place the browned roast into the deep roasting pan. Add 1/4 cup Malbec, 2 tbsp Lea & Perrins Worcestershire Sauce, 1 tbsp dried thyme leaves, 1 bay leaf, 2 chopped garlic cloves, & 10 oz. of low sodium beef broth. Cover deep roasting pan & bake at 350 degrees for 1 & 1/2 hours. After 1 & 1/2 hours, add the 4 chopped celery stalks & 1 pound of small red skin potatoes. Cut Brussells Sprouts into halves. 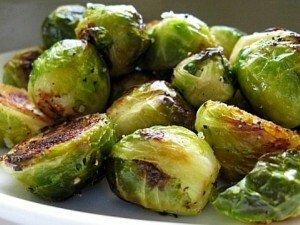 In a large bowl, coat Brussells Sprouts with 2 tbsp olive oil, 1/2 teaspoon minced garlic, 1/2 teaspoon sea salt, & 1/2 teaspoon black pepper. Remove from oven & place in a bowl. Add 2 tbsp of freshly grated Parmesan & serve. 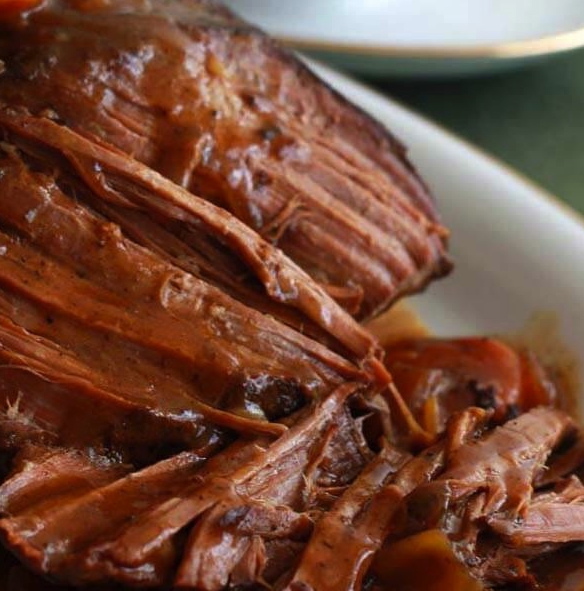 Pot Roast is a timeless recipe that can be traced back to France, originally, but has become a part of traditional American Cuisine as well. It’s perfect for Christmas & Hanukkah, & may be used as Meals 2 or 3 on the Remedy Recipes book format. There’s really nothing like a slow cooked pot roast! It’s flavor & savory aroma, as well as its soft, melt-in-your mouth texture are well worth the time that it takes to cook this traditional dish! I hope that you enjoy this with family and friends this Christmas Season! May this Christmas be filled with love, laughter, forgiveness, & faith. Merry Christmas & Happy Hanukkah! P.S. If you are not already committed to a cause for those in need, please consider a gift/donation to the Marine Corp Toys For Tots Foundation. The link is here on my website at the “Charitable Donations” tab, which can be located by placing the cursor on the “Purchase Nutrition Program” tab, and the hidden “Charitable Donations” tab will appear. Thank you, John D.